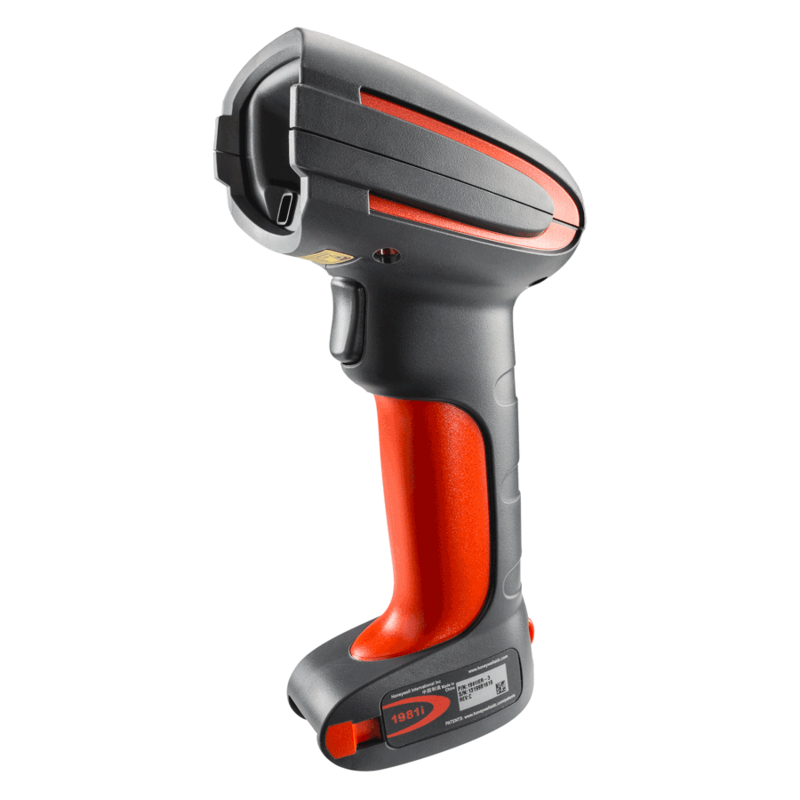 The Granit™ 1980i industrial-grade scanner features full-range area-imaging technology capable of reading both 1D and 2D barcodes across a wide range of distances. From poor quality 2 mil codes scanned at close range, to 100 mil codes hanging from warehouse rafters scanned at ranges of 52 feet (16m), the 1980i is built to perform. With an unmatched range that provides incredible versatility, Granit enables maximum operator productivity in the harshest environments. The 1980i is packed with technologies that make it simple to use. An integrated laser pointer aiming system with auto-illumination, omni-directional reading capability, and support for centering take the guesswork out of scanning at extended ranges. Operators of fork trucks equipped with vehicle-mounted mobile computers, such as the Honeywell Thor™ series, will appreciate how the full-range scanning capability of 1980i allows them to remain seated—and hence more productive—while scanning pallets at extended ranges. Industrial Grade Cable Option: Tested to withstand 300,000 90-degree bends at temperatures as low as -22°F (-30°C). Continues to communicate when up to 60 pounds of force is applied. Single Scanning Solution: Can replace and consolidate multiple purpose-built scanners in typical distribution center and warehouse environments. Full-Range Area-Imaging Performance: Scans low density (100 mil) codes out to 52 feet (16 m) and high density (2 mil) codes at close range—and everything in between. Built Granit Tough: Tested to withstand the toughest environments, Granit is rated IP65 and can withstand 5,000 tumbles from 3.2 ft (1 m) and 50 drops to concrete from 6.5 ft (2 m). Easy to Use: A laser-spot aimer, omni-directional scanning, and features such as centering take the guesswork out of scanning at extended ranges.